The Tesla Roadster, launched in 2008 debuted at the San Francisco International Auto Show. The Roadster quickly garnered the “Best Inventions 2006—Transportation Invention” award from Time Magazine. The Tesla Roadster featured exterior body panels made of carbon fiber built on an aluminum chassis. This structural body design incorporates advance structural casting, extrusion and stamped panel technology. The Tesla Model S and Model X is constructed largely of aluminum. The chassis and body panels are lightweight stampings of Alcoa alloy. 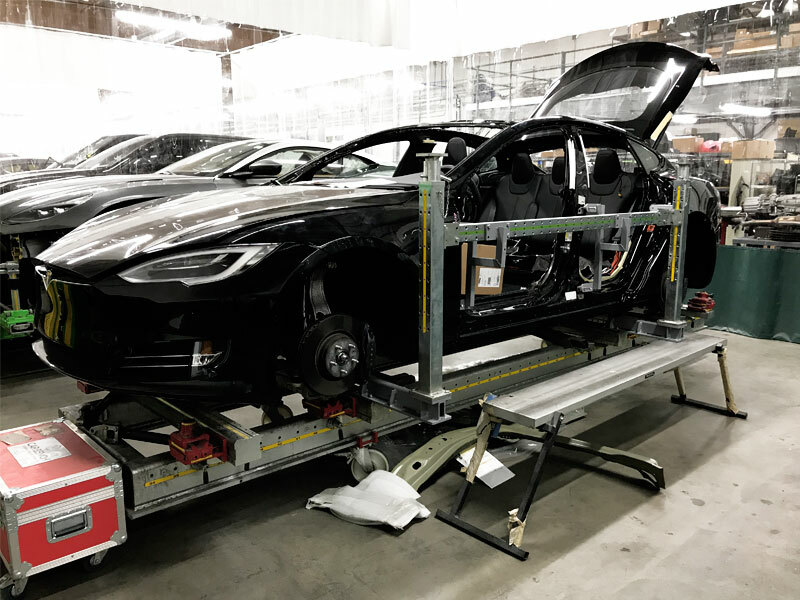 This type construction method has allowed the Tesla Model S to achieve the highest crash safety rating ever from the National Highway Safety Administration. European Motor Car Works is the first Certified shop in Southern California and boast the Founder Repair Facility Status. 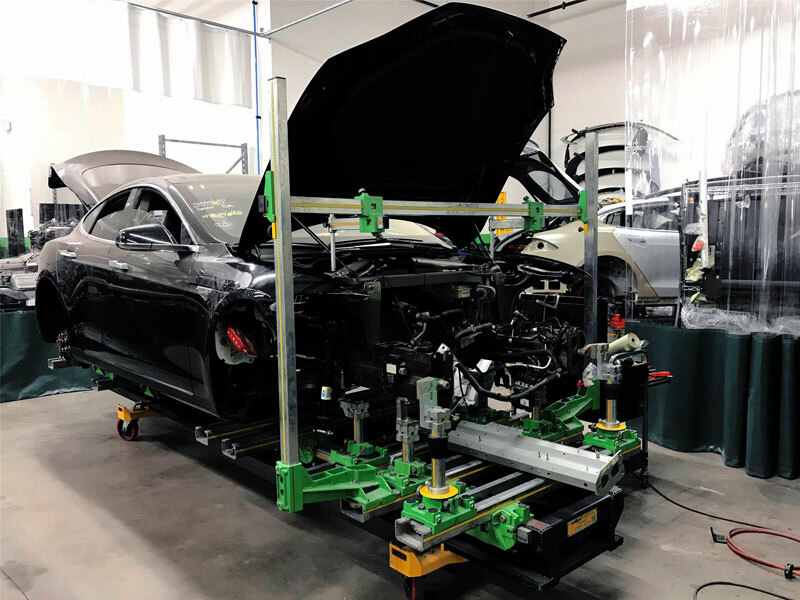 We have passed the highest training available from the Tesla Approved Body Shop Program when technicians must attend the Factory Training at Fremont, Tesla Headquarters. 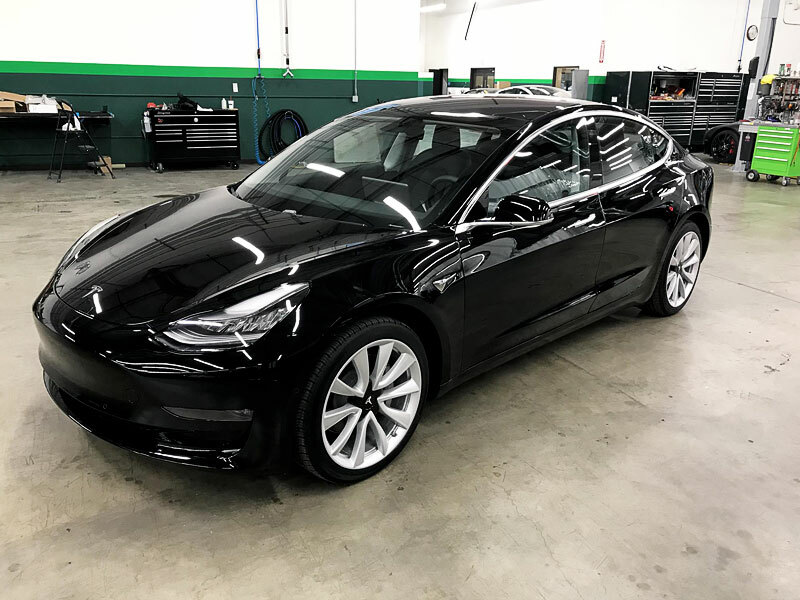 European Motor Car Works has also earned Tesla’s 5 Star rating for customer service and repairs.